A detailed laser-scan survey of the entire monument has discovered 72 previously unknown Early Bronze Age carvings chipped into five of the giant stones. For part of its existence as an ancient temple, Stonehenge doubled as a substantial prehistoric art gallery, according to new evidence revealed yesterday. All of the newly discovered prehistoric art works are invisible to the naked eye – and have only come to light following a laser-scan survey which recorded literally billions of points micro-topographically on the surfaces of the monument’s 83 surviving stones. In total, some 850 gigabytes of information was collected. 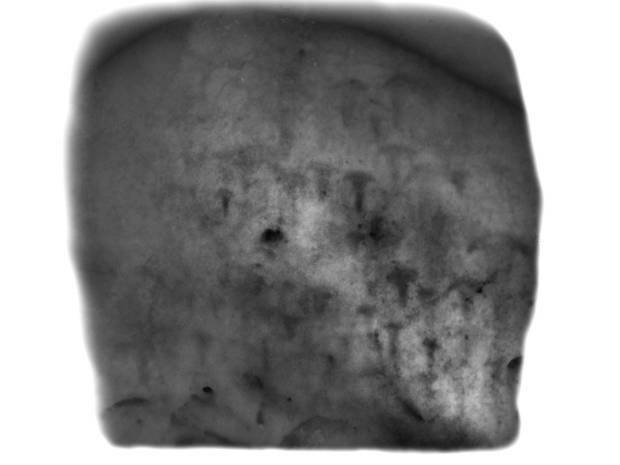 Detailed analysis of that data – carried out on behalf of English Heritage - found that images had been engraved on the stones, normally by removing the top 1-3 millimetres of weathered (darker coloured) rock, to produce different sized shapes. Of the 72 newly discovered images revealed through the data analysis, 71 portray Bronze Age axe-heads and one portrays a Bronze Age dagger. Prior to the laser survey, 46 other carvings (also of axe-heads and daggers) were known or suspected at Stonehenge – mostly identified visually back in the 1950s. The laser-scan survey has now confirmed the existence of those other images and provided more details about them. The 72 new ‘rock art’ discoveries almost treble the number of carvings known at Stonehenge – and the monument’s largely invisible art gallery now constitutes the largest single collection of prehistoric rock carvings in southern Britain. Although now largely invisible to the naked eye, back in the Early Bronze Age the images, composed of then-unweathered (and therefore lighter coloured) stone would have been clearly visible. The revelations are likely to be of huge importance to archaeologists’ understanding of a key part of Stonehenge’s life as a prehistoric temple. It’s known that, when the main phase of the monument was initially built in the middle of the third millennium BC, it was designed primarily as a solar temple, aligned on the mid-winter and mid-summer solstices. But, as Stonehenge evolved over subsequent centuries, the extent to which other religious functions were added is not yet known. Certainly, in the period 1800-1500 BC, vast numbers of individual monumental tombs were constructed in the landscape around Stonehenge and additional features (various circles of ritual pits) were laid out around the monument. The carved axe-heads and daggers also belong to this enigmatic period - and may signify some sort of expansion or change in the great stone circle’s religious function. In Indo-European tradition axe-heads were often associated with storm deities – and some surviving European folklore beliefs suggest that upwards-facing axe blades were used as magical talismans to protect crops, people and property against lightning and storm damage. It’s potentially significant that every single one of the Stonehenge axe-head images have their blades pointing skywards, while the daggers point downwards. The axe-heads – the vast majority of the images – may therefore have been engraved as votive offerings to placate a storm deity and thus protect crops. It may also be significant that the vast majority of the carvings either face a nearby set of tombs (from roughly the same period) – or the centre of Stonehenge itself. Rare evidence from elsewhere in Britain suggests that axe-head and dagger carvings could have funerary associations. The laser-scan data shows that many of the axe-head images have exactly the same dimensions as up to half a dozen other images in the prehistoric Stonehenge ‘art gallery’. This in turn suggests that real axe-heads were being used as ‘stencils’ to help produce the images. If that’s the case, the largest axe-heads portrayed - up to 46 centimetres long – depict objects which were far bigger than archaeologists have ever found and which must have been for purely ceremonial or ritual use. The laser-scan survey was carried out for English Heritage by a Derby-based survey company – the Greenhatch Group – last year. A subsidiary of York Archaeological Trust – ArcHeritage, also operating on behalf of English Heritage – then spent many months analysing and cataloguing the vast quantities of data. “The new discoveries are of huge importance. They also demonstrate how emerging technologies can extract previously unsuspected and crucial information from a monument like Stonehenge,” said Marcus Abbott, Head of Geomatics and Visualization at ArcHeritage. “As the previously invisible images started appearing on our computer screens, we stared in disbelief at the sheer quantity of carvings being revealed – and treble-checked all our data,” he added. 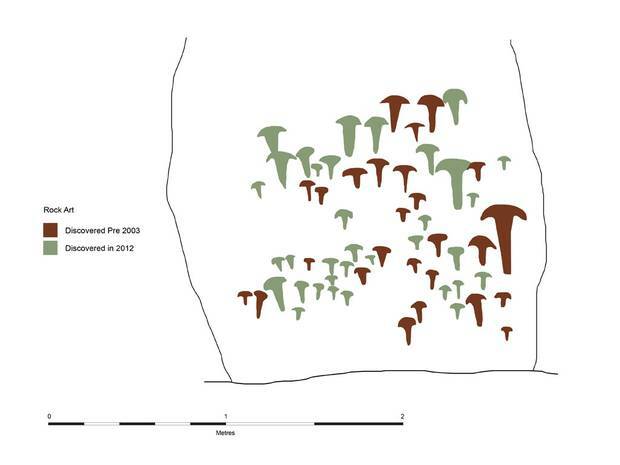 The survey and analysis has also yielded other new insights into Stonehenge. It’s revealed, through an examination of how finely the stone surfaces were worked, that the entire prehistoric temple was constructed to be viewed primarily from the north-east. That’s the side of the monument which is approached by what archaeologists have long believed to be a processional way, aligned with the solstices. Because, it now seems that Stonehenge was built to be viewed from that direction, it suggests that some sort of religious procession made its way towards the monument, along that route, probably on mid-winter’s and mid-summer’s day. Detailed analysis of the data also shows that one of the stones at the now ruinous south-west side of the monument was also very deliberately worked and shaped to allow a line of sight through to the setting sun on mid-winter’s day. This, along with other new evidence, suggests that the south-west side of the monument was once fully functional – and will reduce support for those who have, up till now, argued that Stonehenge was never completed. The implication therefore is that at some stage in its history there was a deliberate attempt at its destruction. Particularly puzzling is the laser survey discovery that the prehistoric stone masons, who helped create Stonehenge, used two different stone-working techniques. The stone-dressing work on the monument’s great circle (both uprights and lintels) was accomplished by working parallel to the long sides of the stones, while the five stone ‘trilithons’ (the great horse-shoe arrangement of linteled stones) within the great circle were dressed by working at right-angles to the sides of the stones. This previously unknown fact – revealed by the laser scan operation – suggests that the great ‘trilithons’ may have been constructed slightly before the great circle rather than being contemporary with it.